Mac Edition Radio produces reviews and news stories about the latest technologies, digital imaging, music, & photography. I race down a canyon with my speed being at least 70 mph, trying to stay on the road. My opponent crashes into me purposely, making me swerve. I hit him accidentally, driving off the road and into the canyon. My heart pounding, I step away from my keyboard, and get myself a Coke. Thankfully, I‚Äôm not really old enough for a driver's license, and I had only been playing EA's new racing game for the Mac, Need for Speed: Carbon. Apple's switch to Intel processors is great for performance, price, and feature set. And if you have ever tried to work with a MacBook or MacBook Pro on your lap, you know that the laptop can also double as a pizza oven, making your lap the beneficiary of all that heat. Heck, my MacBook Pro runs so hot at times I'm going to start using it to press my shirts! 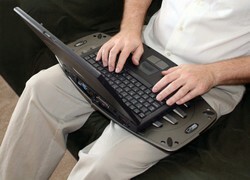 Fortunately, the folks at LapWorks don't want to get burned either, and their Laptop Desk Futura took the heat off! We have listened to a large number of earphones and headphones, a few of which actually drop the term "audiophile" with varying degree of accuracy. One thing is clear, we should be encouraging more people and manufacturers to move away from the Apple inspired earbud design. Why? It's not a problem with the sound quality, but rather the need to crank up the volume to hear the music clearly over the din of outside ambient noise. 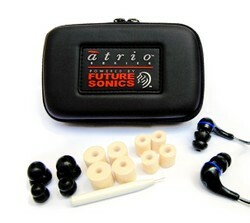 In this review we consider some new earphones, the Etymotic ety8, Shure SE 310, Future Sonics Atrio, iSkin Cerulean F1 & TX+RX, & Skullcandy Icon. I've been using a Wacom tablet for over 15 years, starting with their ADB-based ArtZ tablets. There have been other tablet entries into the market over the years, but none have stuck, and Wacom rules the roost. And for good reason - each iteration of the line offers more sensitivity, tilt, and options. 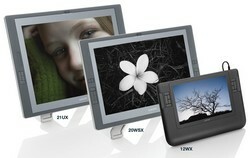 But the ultimate tablet is the Wacom Cintiq 21UX tablet, which bonds a tablet to a high-quality LCD display. There are a lot of wonderful docks for your iPod on the market, but the iPort FS is unique in that it is but one component in a larger integrated system to distribute audiovisual content throughout your home. 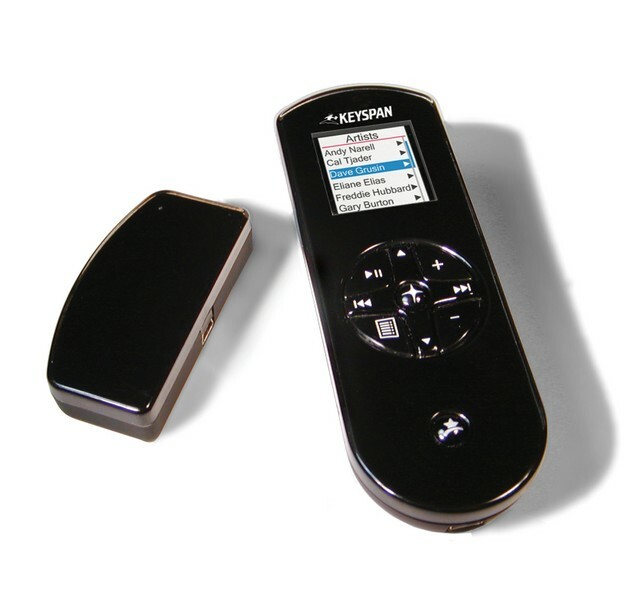 Keyspan TuneView Puts Your iPod’s Controls Back In Your Hand! Anyone who has used a remote control with their iPod, know that they all have one thing in common: you can't actually see what you are controlling. 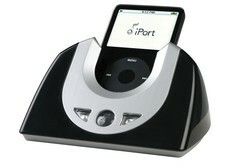 Not so with the new Keyspan TuneView for iPod remote control and docking station. Attach the dock to your stereo and the video out to your TV, and insert your iPod, and turn on the TuneView, and you have the screen from your iPod on the TuneView's remote which has its own color LCD screen. There are a few things you should never do, and for digital folks, top of the list is to never, ever, ever use labels on your CDs or DVDs. 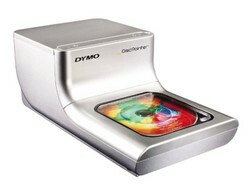 Enter DYMO, which just brought out the DYMO DiscPainter, a dedicated disc printer. While we are discussing DYMO, we should mention their DYMO Desktop Mailing Solutions, a unique combination label printer and U.S. Post Office approved USB scale. Techshell & Gelaskin wants to keep your MacBook, MacBook Pro, or PowerBook G4 looking pristine! Ah ... the little elves of Jonathan Ive's Industrial Design Department labor away under Santa Jobs' and Santa Ive's guidance, creating ever more beautiful creations that are the objects of the lust that is the hallmark of Apple's ID mantra. Those designs are gorgeous yet fragile finished products. It doesn't take much to mar the finish on a beautiful new MacBook Pro, or scratch the screen of an iPod. 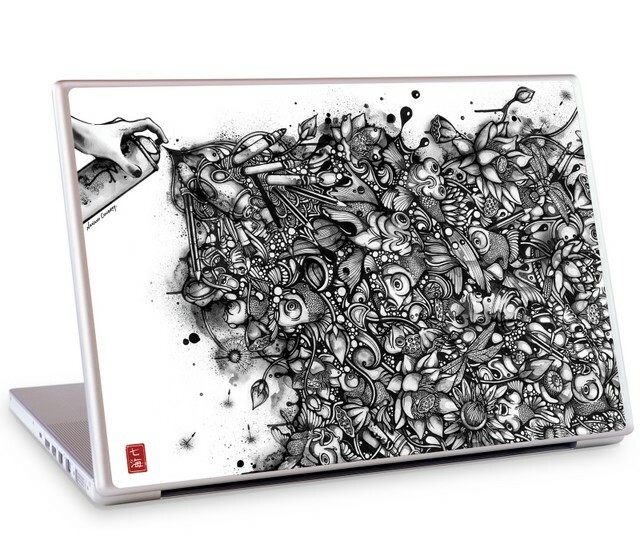 With Techshell's new rubberized shells, or Gelaskins beautiful graphics, you can protect your Apple laptop and keep them looking good at the same time. Seiko SLP Label Printers, Speed and Versatility for your Mac! A few years ago at Boston MacWorld (boy, that dates us! ), we met with Seiko Instruments, USA who were introducing a new label printer that was Mac-compatible. At the time, it was an important announcement for the Mac market, since not that many folks were making Mac-compatible devices, especially in the small business segment. Since then, Seiko has continued to improve the software, adding additional features to their SLP printer line, which stands for Smart Label Printer. Their commitment continues with the introduction of the Seiko SLP 440 printer. One of the biggest annoyances and problems for Digital SLR photographers is that tiny, almost invisible bits of dust on the sensor can result in enormous amounts of time "de-dusting" the images after a shoot is over. While applications like Adobe Photoshop Lightroom have some automated tools to help with the removal of dust that is already on the image, what your mom told you holds true: an ounce of prevention is worth a pound of cure. In this review, we look at the approaches taken by VisibleDust and Delkin Devices to help rid your sensor of dust.